A newly revealed document taken from a 1999 Affirmative Action Plan Book published by Harvard University indicates that Elizabeth Warren was officially listed as a Native American by Harvard Law School. Though Warren is not mentioned by name, the report shows just one Native American member of the law school. Reports in the Harvard Crimson from 1996 and 1998 both identify Warren as the Native American member of the staff. Incidentally, the one black female professor listed in the report is Lana Guinier, whom Harvard Law hired in 1998. Yesterday, Breitbart News revealed a letter that a Harvard spokesman sent to the New York Times in 1998 in response to a critical op-ed by former Harvard Law professor Derrick Bell. The letter mentioned that the school employed one female Native American professor. Warren is not mentioned in the letter by name, but two separate reports in the Crimson, including one published days after the Times letter, identify this person as Elizabeth Warren. What is the correct procedure for a contractor to obtain the ethnic information of its employees and applicants? OFCCP regulations 41 CFR 60-1.12(c) indicate that for any personnel or employment record a contractor maintains, it must be able to identify the gender, race, and ethnicity of each employee and, where possible, the gender, race and ethnicity of each applicant. OFCCP has not mandated a particular method of collecting the information. Self-identification is the most reliable method and preferred method for compiling information about a person’s gender, race and ethnicity. Contractors are strongly encouraged to rely on employee self-identification to obtain this information. Visual observation is an acceptable method for identifying demographic data, although it may not be reliable in every instance. If self-identification is not feasible, post-employment records or visual observation may be used to obtain this information. Contractors should not guess or assume the gender, race or ethnicity of an applicant or employee. In other words, the employer may visually identify the race of the employee, but in Warren’s case that seems unlikely. 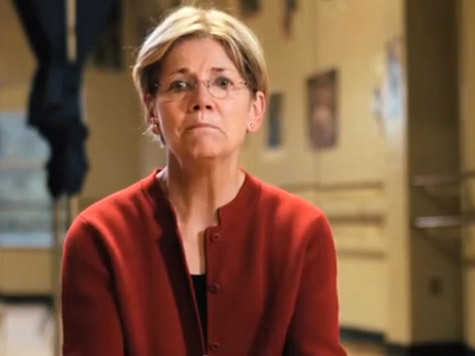 No one looking at Warren would likely designate her as Native American. Based on genealogical information, she is (at most) 1/32nd Native American. So the most likely way this information became part of Harvard’s official records is via “post-employment records”–i.e. a form like the one above which Warren would voluntarily have filled out herself. Yesterday, the Boston Globe obtained documents which indicated Warren was identified as a Native American by the University of Pennsylvania, where she worked prior to coming to Harvard. The Globe also identified documents from Rutgers and the University of Texas that show her listed as “white” for EEOC purposes. Elizabeth Warren needs to explain how Harvard Law’s official EEOC records identified her as Native American. In order for her to be listed in the Action Plan Book dated 1999, she would have had to self-report this information to Harvard at some point (assuming Harvard did not intuit this by looking at her). While Warren’s defenders insist she did not benefit from her minority status, that is no longer the question. As always, it’s the “cover-up,” not the “crime,” that does the most damage. In this case, the facts are clearly at odds with the story Warren has told about her employment record. The voters in Massachusetts are entitled to take her truthfulness into account when they make their decision about who will represent them this November.